The year started with me trying to make a conscious effort not to end up in a panic again over things and to make sure I concentrated on everything I did and not to flap so flipping much. Well I got almost 6 weeks in anyway. It was a good attempt. 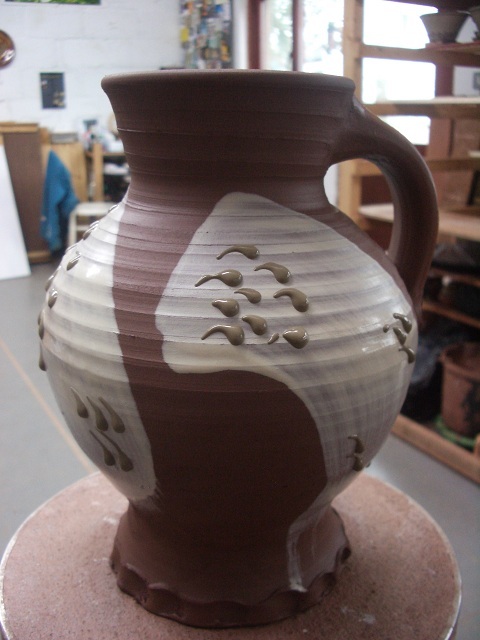 I’m working up to firing my wood kiln again, heck it’s been ages since the first one. I spent the majority of last year having to make every pot count so kept putting off firing it again as I couldn’t afford to not get the pots out ok.
Not sure I can exactly afford it at the moment either but it’s as good a time as any I think. 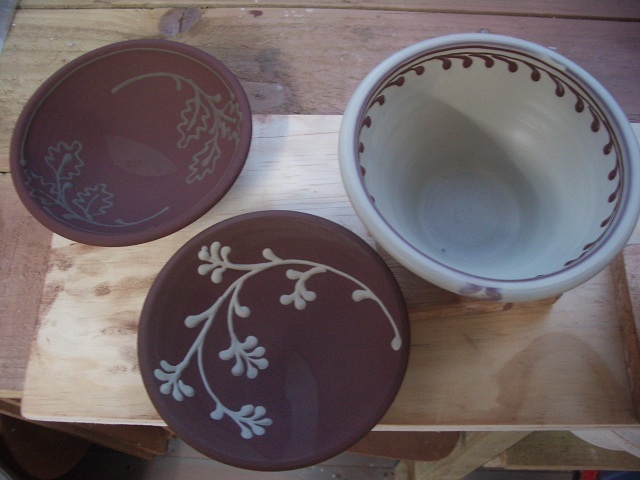 I’ve been trying to make sure I have tall pots, shallow pots, slipped all over pots, slipped in bits pots, pots to be glazed inside, pots to be glazed all sides, black slip pots, white slip pots, sgraffito pots, trailed pots, bare naked clay pots. I think I have a bit of everything – ish. Still working on finishing and drying them for the time being though and getting the pots for Tokyo ready too. I got a big order today, a jolly nice one, kind of important too, that was good. Still flapping a bit, off to Cubs now though so they’ll shift any thoughts of flapping out of my head for a couple of hours at least! 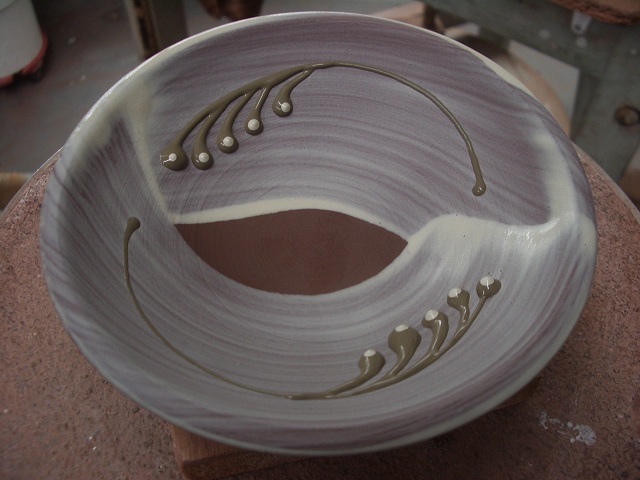 This entry was posted in fresh slip, slip trailing, wet slip, wood kiln. Bookmark the permalink. I am so distracted by your pots I have to go back to read- good grief Hannah you are flipping talented!I love each of these and seems your work just gets better and better and better! 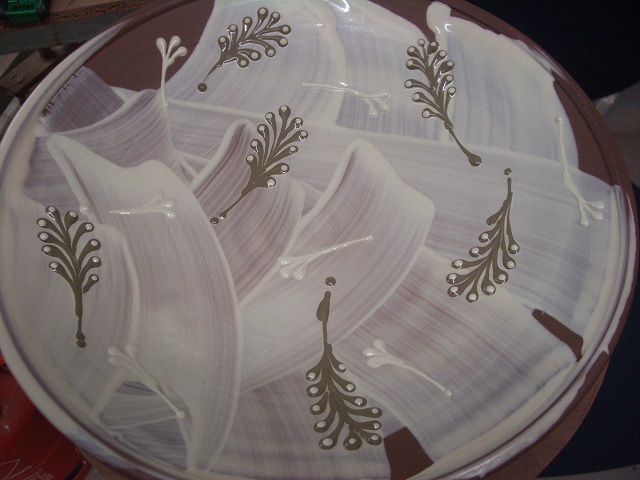 Any way you'd come to Lancashire and give a stale thrower a lesson or two – what are you like with Porcelain?Your work is fantastic. Sometimes the good thing about working with kids is you have to be so focused that you can't worry about anything else. You are a mad woman! Beautiful!!! I'm like Meredith, I kept getting distracted and had to re read what I just read haha! I love them ALL! Especially the jug with the slipped neck and bit down the side. Gorgeous texture…. Those loose brush strokes work really well. Wish we were nearer to you I'd like to see your wood firing. Sounds exciting. 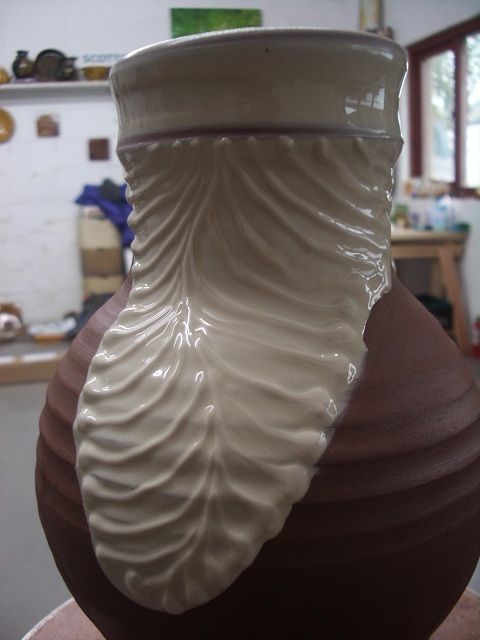 I found your blog via Paul the Potter and have been looking through some recent posts. Such stunningly beautiful work, just totally amazing. Your slip-work is a delight.